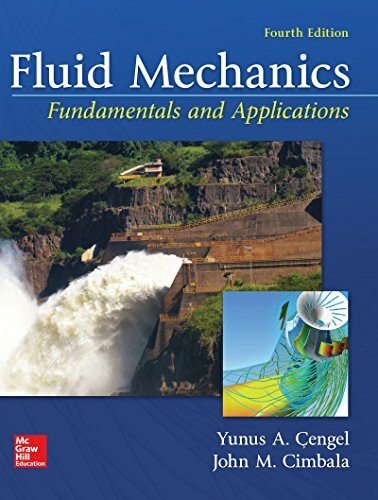 April 8, 2018 lowpricebooks 1259696537, engineering, Yunus A. Cengel Dr.
1259696537 – Fluid Mechanics: Fundamentals and Applications by Yunus A. Cengel Dr.
Cengel and Cimbala’s Fluid Mechanics Fundamentals and Applications, communicates directly with tomorrow’s engineers in a simple yet precise manner, while covering the basic principles and equations of fluid mechanics in the context of numerous and diverse real-world engineering examples. The text helps students develop an intuitive understanding of fluid mechanics by emphasizing the physics, using figures, numerous photographs and visual aids to reinforce the physics. The highly visual approach enhances the learning of fluid mechanics by students. This text distinguishes itself from others by the way the material is presented – in a progressive order from simple to more difficult, building each chapter upon foundations laid down in previous chapters. In this way, even the traditionally challenging aspects of fluid mechanics can be learned effectively. Author: Yunus A. Cengel Dr.